If you're taking the Polk Street stroll feel free to begin and end anywhere you like- just make sure your walk includes a stop at Velvet da Vinci. Behind the art gallery look-alike facade you'll find a haven to gifted artists who specialize in contemporary jewelry. The juried collections are each in their own right incomparable and extraordinary. Browse the free-standing cases and discover the talent of elite designers such as Todd Reed, Petra Class and Mark Poulin. Todd Reed, the recipient of The 2009 Veranda Art of Design Award in the personal luxury category, works with raw diamonds to create gorgeous bold bursts that command attention. Though somewhat daunting at the high end of the price spectrum, Todd’s jewelry can easily be classified as regal treasure and is well worth the investment. Just down the aisle is Petra Class, designer of distinctive modern jewelry that makes a statement and sets a mood. 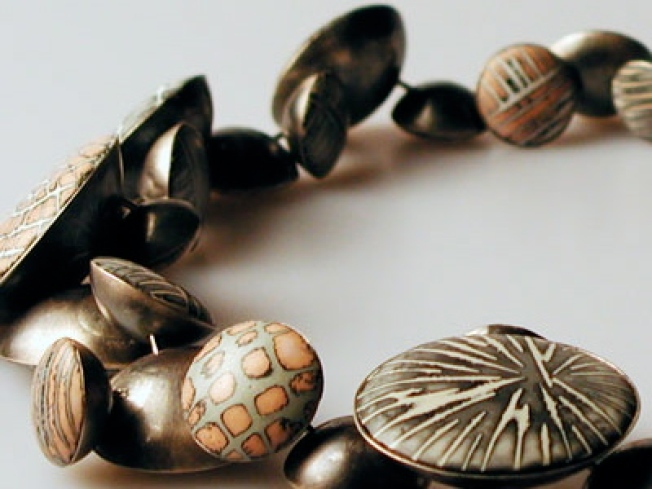 Petra works in gemstones and gold, choosing color themes that result in a fluid rhythm of graceful beauty. Initially her works of art seem abstract, but with a bit of scrutiny it becomes clear that the arrangements are calculated by an extremely talented creator. Not to be missed is the work of Mark Poulin. Poulin’s sterling sliver and enamel combinations are smile producers, whimsical, colorful, collectible, yet sophisticated. The pieces are designed and priced to delight a wide range of clients. Velvet da Vinci is not just another retail jewelry store. It's an experience that enlightens both in current trends and timeless quality and design.